If you are bored of visiting Goa’s infinite beaches or if you are the type of person who enjoys visiting museums then Ancestral Goa Museum is a place you can check out. Ancestral Goa is meant to give you a cultural glimpse of Goa – Olden style homes, what their occupations were like? how did they dress? what did they eat? et cetera. The place is also popular as Big foot because of an age old mythological story about a man’s big footprint which still exists there. There is an old saying that if you keep your right hand on the foot and make a wish, it will come true. 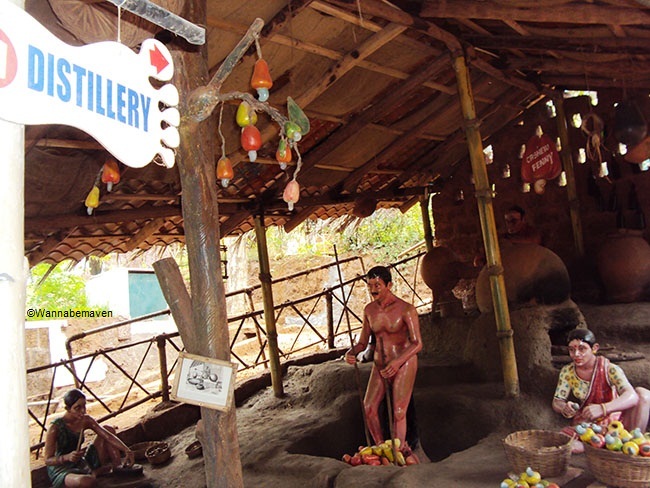 Another characteristic that makes Ancestral Goa museum popular among tourists is a huge Sant Mira Bai sculpture. Mira Bai or Meera was a Lord Krishna devotee and a Hindu mystic poet. The sculpture holds a Limca Book of Record for being India’s longest Mira Bai sculpture made from laterite. 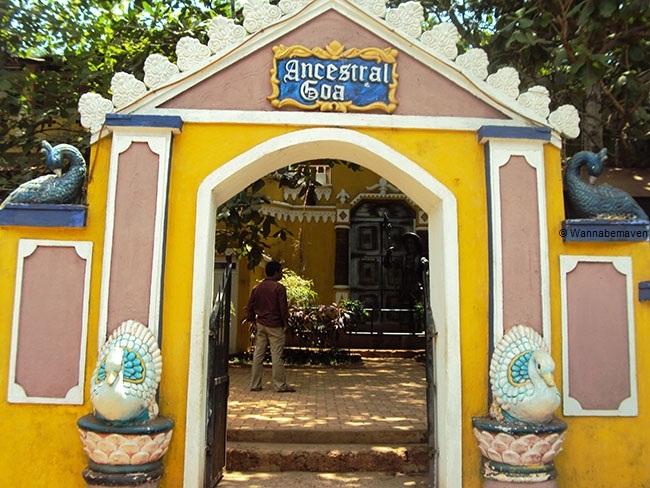 Spice and fruit plantations adorn the property giving Ancestral Goa Museum a very naturalistic appeal. Carambolas, Berries, Cherries, Coconut, Rubber, Pineapple, Pomegranate and Aubergine plantations are among the sights you will enjoy strolling by. There is also an Art gallery, Handicraft center, an Emporium and a Cold drink shop that make their presence felt at the Ancestral Goa property. Located in Loutilim in South Goa, one could complain that the place is cut off from North Goa where all the action is and where mostly international tourists prefer to hang out. 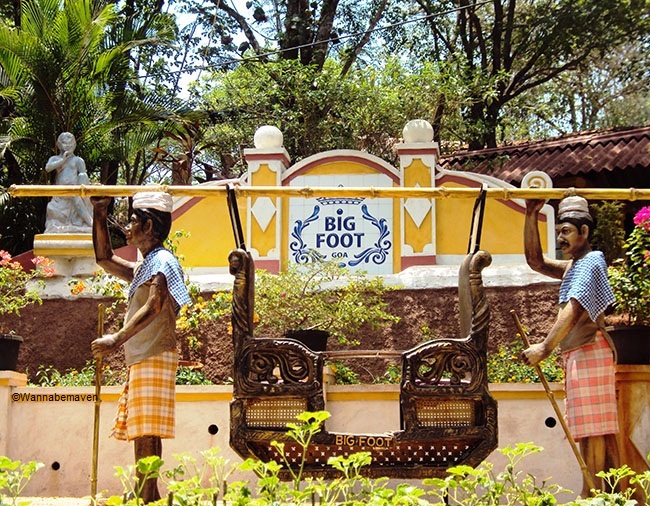 Good news is that most government and private tourist buses have Big Foot and Ancestral Goa Museum on their itinerary. There is a recorded audio speaker that guides you all along while touring the museum. Almost all criterions for a cultural museum are ticked by Ancestral Goa. The presentation is good, the place is well maintained, the audio guide is interactive and the staff very friendly. Goa has to a great extent managed to retain its culture and heritage. 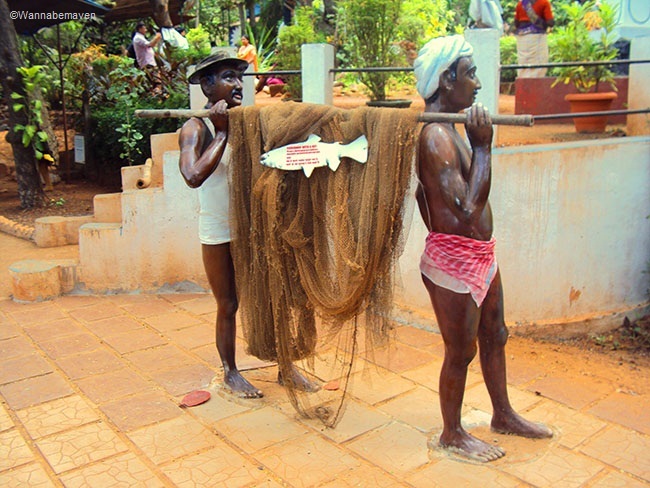 Fishing villages and fisherman, cashew distillery, olden style Goan architecture, Goan Music and Goan cuisine; none of these elements have seen drastic changes in the state and still moderately exist in and around Goan cities. So, when one can see all these things while in the outdoors, viewing life size statues and listening to audio speakers is a downside. Ancestral Goa museum and Big Foot is not a bad place to spend some time. They have their share of highlights like the Big Foot story, the large foot print and India’s biggest laterite sculpture of Sant Mira Bai. However, the basic concept of displaying ancestral Goan culture to visitors may fall victim to Goa’s present way of life which is not drastically different, in my opinion. The place will go down well with Indian tourists from far off places like North India and to some extent with international travelers. In fact, even the latter is a doubt, considering all that international tourists look for in Goa is beach, booze and shacks. Subscribe to this blog and be the first to receive notifications of my new posts in your inbox. Culture, Faith and Belief, History, Museums, Museums in Goa, Mythology, Offbeat Goa, Sightseeing, Solo travel, Tourist attraction, Tourist Destination, Travel. Bookmark.